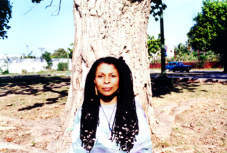 activist, a poet, a mother and a grandmother. She has lived in Cuba since the early 19XOs. rights of all sorts of political activists. and incarcerated over the next few years for the series of trumped up cases. facing women, youth, and people of color. against Cuba, killing and injuring Cuban citizens and foreign tourists alike.